Rarely a day goes by without new claims that the gluten-free diet can help you lose weight. Celebrities ranging from Oprah Winfrey to Miley Cyrus (and of course, diagnosed celiac Elisabeth Hasselbeck) maintain that they've lost weight gluten-free. Based on those testimonials, plenty of people have adopted a gluten-free diet as a way to shed pounds. But does it really work? If you ask the Academy of Nutrition and Dietetics (formerly known as the American Dietetic Association), the answer is a firm "no"—according to the group, there's no proven use for the gluten-free diet beyond celiac disease, and "there is nothing special about a gluten-free diet that can help a person lose weight." Despite that firm "no," there actually haven't been any studies considering whether people who eat gluten-free lose weight more readily than people who follow a different diet, although an academy representative speculated that people may lose weight when they eat gluten-free because they can't find as much food they can eat. However, there is, in fact, some evidence that eating gluten-free can help you lose weight, whether or not you actually have celiac disease. If you do have celiac, several medical studies note that celiacs who are overweight when they're diagnosed tend to lose weight when they go gluten-free. But if you don't have the condition, gluten-free weight loss may still work for you. Cardiologist Dr. William Davis, author of Wheat Belly, tells me he sees the same weight loss sparked by the gluten-free diet in people who don't have celiac disease: patients lose weight routinely—usually around 15 to 20 pounds in the first month—when they drop wheat from their diets. Is there something in wheat or gluten foods that causes people to overeat? There's no evidence one way or the other in medical studies. However, Dr. Davis says it's true based on his own unpublished research and experiences within his medical practice: people consume more calories overall when they eat wheat and tend to lose weight—sometimes lots of weight—when they drop wheat from their diets. Studies have shown pretty conclusively that the gluten-free diet helps obese people who have celiac disease lose weight. In one study, researchers followed 191 people, of whom about 32% were underweight, 38% were normal weight, 16% were overweight and 14% were obese at the time of diagnosis. Out of the entire group, 91 patients gained weight after starting the gluten-free diet—an average of about 16.5 pounds. But another 25 patients lost an average of 27.5 pounds ... and the weight loss was most pronounced in the patients who were obese at diagnosis. Another study that looked at 369 people found weight tends to normalize on a gluten-free diet—in other words, if you're overweight, you'll tend to lose weight, while if you're underweight, you'll tend to gain some weight once you go gluten-free. What If You Don't Have Celiac? Studies showing the gluten-free diet can lead to weight loss in some people with celiac disease don't apply to people without the condition, of course. However, Dr. Davis believes that eliminating wheat from your diet will lead to weight loss even if you don't have celiac disease—he says he's seen it in happen in several thousand patients whom he has treated for cardiovascular disease. He claims that many protein and starch compounds in wheat—not just the gluten protein—are harmful, and he routinely counsels his patients to drop all wheat products from their diets (he emphasizes wheat—the most ubiquitous gluten grain—far more than barley or rye, which appear in relatively few food products). According to Dr. Davis, eating wheat stimulates your body to produce very high levels of insulin, the hormone that moves sugar from your bloodstream into your body's cells. High insulin levels cause your body to accumulate fat around your abdomen. When your body has lots of insulin circulating, it also can lead to feelings of low blood sugar, which make you hungry. You grab a quick snack (frequently easily-digested carbohydrates like some crackers or a muffin) and the cycle starts all over again. Dr. Davis believes that taking the wheat out of your diet can calm this cycle involving high insulin and low blood sugar, and almost always leads to the person consuming fewer calories ... which in turn results in weight loss. "Typically, you'll see a 15-to-20-pound weight loss within a month," Dr. Davis told me in an interview. "The largest drop is in the first month. Some of that is edema [i.e., water retention]. It seems to be a selective loss in the abdomen, and there's a marked reduction in waist size." Dr. Davis says that patients who lose the most weight are the ones who do not replace gluten-containing foods with lots of gluten-free food products, which tend to be high in calories and low in nutrients. Instead, the people who lose the most weight drop most or all grain-based products (even gluten-free-labeled products) plus sugar-based processed foods, he says. In his experience, those people also do the best from a heart disease risk point of view (which is Dr. Davis' main focus). There's actually an interesting medical study that backs up Dr. Davis' point of view on this. The study, published in 2013 in the Journal of Nutritional Biochemistry, found that mice following a high-fat gluten-free diet gained less weight and developed less fatty tissue than mice eating a glutenous high-fat diet. The researchers also identified specific biochemical reasons for their results. "Our data support the beneficial effects of gluten-free diets in reducing adiposity gain, inflammation and insulin resistance," the authors concluded. 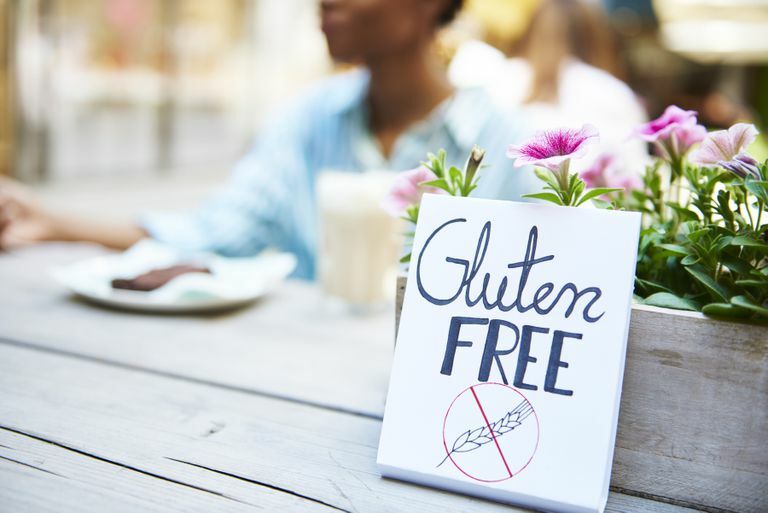 "The data suggests that diet gluten exclusion should be tested as a new dietary approach to prevent the development of obesity and metabolic disorders." There's more evidence for wheat's role in weight gain from Denise Minger, a raw food/Paleo diet blogger and author. Minger, who is well-known in low-carb diet circles for her analysis of the China Study, took a look at what the data show about body mass index and wheat intake. If you're not familiar with the China Study, written by T. Colin Campbell, it's a book based on Campbell's long-term epidemiological study of diet and disease in people who live in 65 rural counties in China. But Minger didn't use the book itself—instead, she used the raw study data, much of which is available online, to crunch numbers specifically on wheat and body size. In Minger's very detailed analysis of the data, she found that wheat consumption is the strongest positive predictor of body weight, and is strongly correlated with body mass index. Translation: the more wheat you eat, the heavier you are, regardless of how tall you are. To see if her conclusion held up, Minger also ran the numbers through a bunch of different statistical equations with different variables. Nothing changed the bottom line, which was that eating wheat was correlated with having a higher body mass index. Of course, Minger's research doesn't prove anything—she's simply showing statistical associations between wheat and weight, not showing definitively that wheat causes weight gain. If you have celiac disease and you're overweight or obese at diagnosis, you'll probably lose some weight once you go gluten-free. Regardless of whether you have celiac disease or not, you probably won't lose much weight on the gluten-free diet—or potentially any at all—if you load up on gluten-free replacement products such as breads, cookies, cakes, and cereals, since those products tend to be just as high (or in some cases, even higher) in calories than the wheat-based products they're replacing. According to Dr. Davis, you'll get the best weight-loss results if you also cut back significantly on all starchy carbohydrates. Although in his view, wheat is the worst offender when it comes to insulin levels, all starchy carbs—i.e., gluten-free grains and grain products, plus potatoes, legumes, and sugar—can raise your insulin levels, making you more inclined to overeat, he says. Therefore, rather than shopping mainly in the gluten-free products aisle at the supermarket, you should avoid those products and instead base your diet on fresh vegetables, nuts, lean meats, eggs, and cheese, with some limited fruit and whole gluten-free grains thrown in, Dr. Davis says. Cheng J. et al. Body mass index in celiac disease: beneficial effect of a gluten-free diet. Journal of Clinical Gastroenterology. 2010 Apr;44(4):267-71. Davis, William. Wheat Belly. Rodale Press, 2011. Marcason, W. Is There Evidence to Support the Claim that a Gluten-Free Diet Should Be Used for Weight Loss? Journal of the American Dietetic Association. 2011 Nov;111(11):1786. Minger, Denise. Raw Food SOS: The China Study, Wheat, and Heart Disease; Oh My!. Published Sept. 2, 2010. Murray J. et al. Effect of a gluten-free diet on gastrointestinal symptoms in celiac disease. American Journal of Clinical Nutrition. 2004 Apr;79(4):669-73. Smecuol E. et al. Longitudinal study on the effect of treatment on body composition and anthropometry of celiac disease patients. American Journal of Gastroenterology. 1997 Apr;92(4):639-43. Soares FL et al. Gluten-free diet reduces adiposity, inflammation and insulin resistance associated with the induction of PPAR-alpha and PPAR-gamma expression. Journal of Nutritional Biochemistry. 2013 Jun;24(6):1105-11.